Ever since my first visit to Scotland I have been impressed with the amount of things that are available to do without spending a penny (or very little – fuel to get there and a picnic maybe?). So I thought I would share ten free things to do in Scotland. 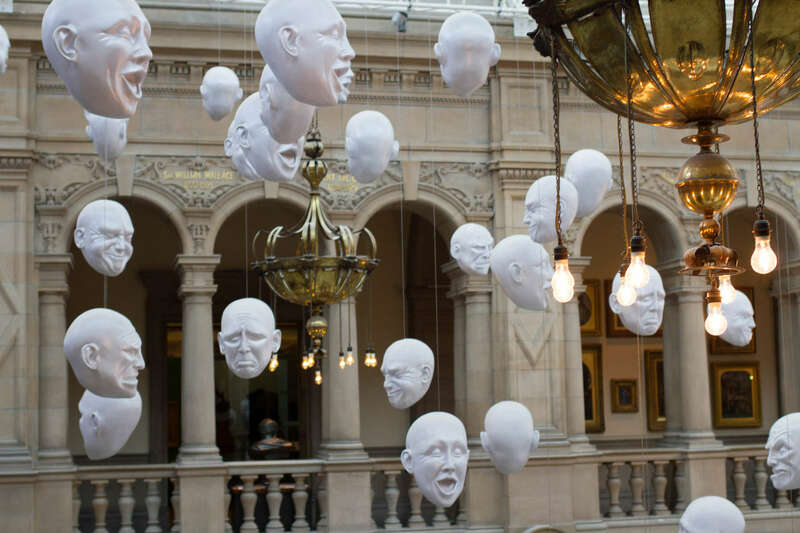 Kelvingrove Art Gallery & Museum, Glasgow – There is something here for everyone. With twenty two themed galleries filled with art, natural history and interactive displays this is one of my favourite museums and the building itself is stunning too. Still amazes me that there is a Spitfire hanging from the ceiling too! Glen Livet Distillery, Ballindalloch – The scenery surrounding the distillery is well worth a visit but it is the free tour that took me by surprise. 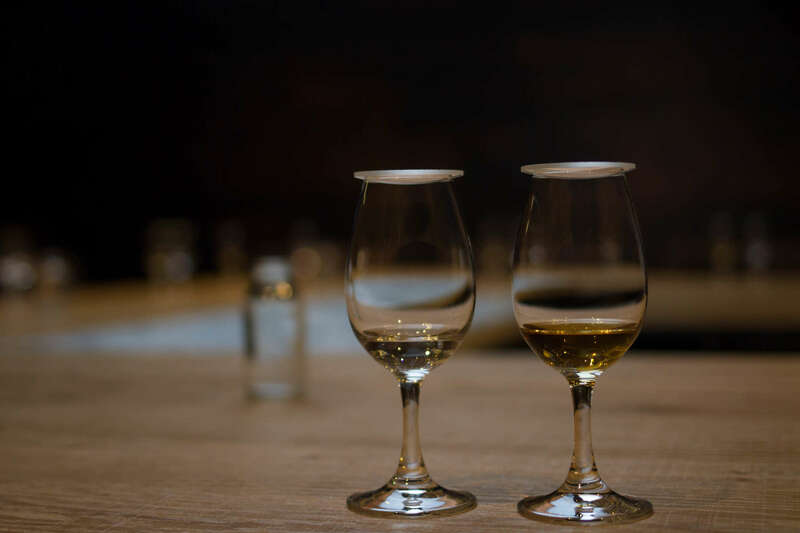 It is no different to any other tour in that you still get to see the process, hear about the history and of course get your wee taster dram of single malt at the end. If you need something to line your stomach whilst you are there then the coffee shop serve some great food (not free). Here I will also remind anyone who plans to visit several distilleries in one day that the Drink Drive limit in Scotland is only 22mg, so please have a designated driver or book a tour bus. 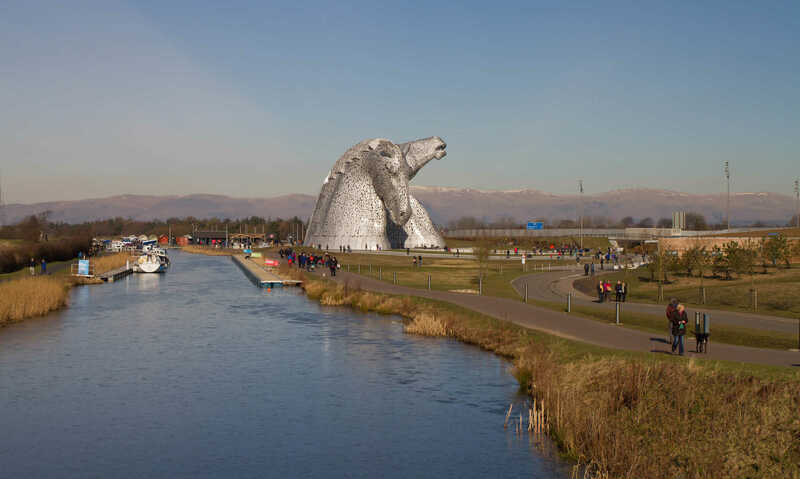 The Kelpies and Falkirk Wheel, Falkirk – Both sites are featured next to the Forth and Clyde canal and are great spaces to visit. The Kelpies are the largest equine structures in the world and celebrate the working horses of the canals many years ago. The Helix park, in which the Kelpies are situated, is a great space to walk the dog, cycle, run or have a picnic (should the Scottish weather permit). The Falkirk Wheel is just a few miles down the road but you can use the tow path alongside the canal to walk there too. An amazing feat of engineering – joining two different canal systems up with a giant lift for barges is a genius idea! There is a play park here for children too. Calanais Stones, Isle of Lewis – Something very special. 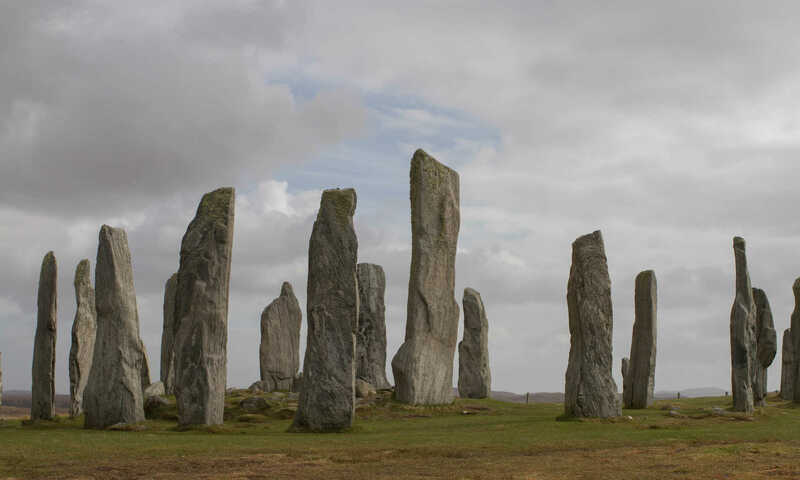 Mystical and so beautiful, these stones were erected some 5000 years ago and pre-date Stonehenge in England. The beauty of visiting this site is that you get to walk amongst the stones. Admiring their formation and imagining the rituals that will have taken place during the Bronze Age. It is rather mind blowing that the stones are still here today and in fact how they even got up the hill in the first place! Well worth a visit if you are staying on either Harris or Lewis. Arthur’s Seat, Edinburgh – towering over the capital city is Arthur’s Seat. 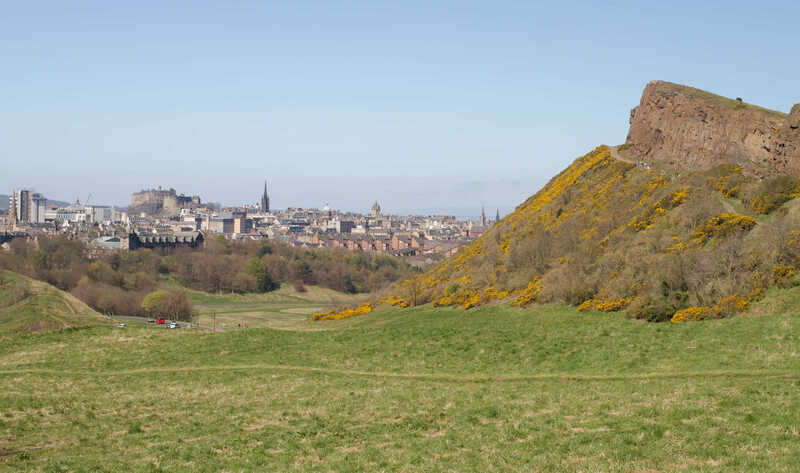 Situated in Holyrood Park it is quite a climb to the top, 250 metres above sea level, but well worth the walk. An un-interrupted view over the city, across to Fife, the Pentlands and beyond. A good pair of walking shoes would be recommended for this. Ceres Highland Games, Ceres, Fife – Many visitors to Scotland enjoy highland games each year and in some cases pay quite a bit of money for the experience. But each year, the last Saturday in June, the oldest free games in Scotland are held in the pretty village of Ceres. 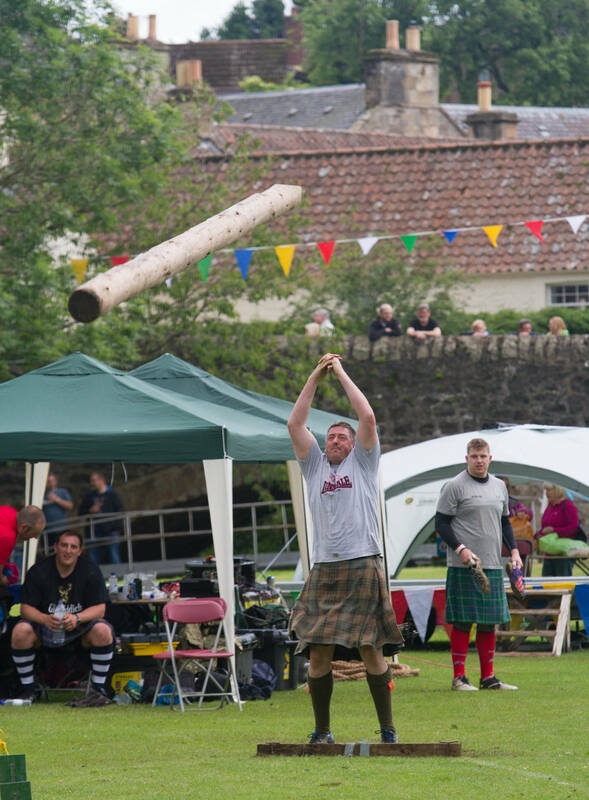 A day for locals and visitors to come together and enjoy pipe music, wrestling, running, dancing and of course the heavy events including tossing of the caber. Find yourself a spot and make yourselves comfortable for the day with your picnic or enjoy the food and craft stalls on site too. Loch Leven Heritage Trail, Kinross – This 21km circuit is relatively flat for walking, cycling and running around. With great views of Loch Leven you are in with a good chance of seeing plenty of wildlife. 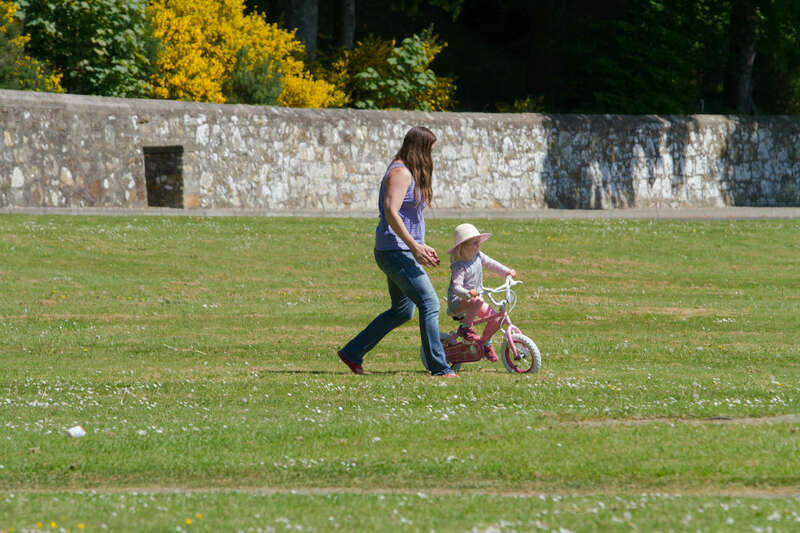 If you have don’t have the time, or inclination, to do all of it you can choose to do linear sections of it and if you start from the carpark at Kinross there is a play park for the little ones, benches for eating a picnic and a large grassy area for kicking a ball about or learning to ride your bike! McCaig’s Tower, Oban – If you’ve ever been to Oban just to catch the ferry then you are missing out! Oban is a great base for walking and other outdoor activities. I know that each time you leave Oban on the ferry you’ve wondered what that the building on the hill that looks like a colosseum is? 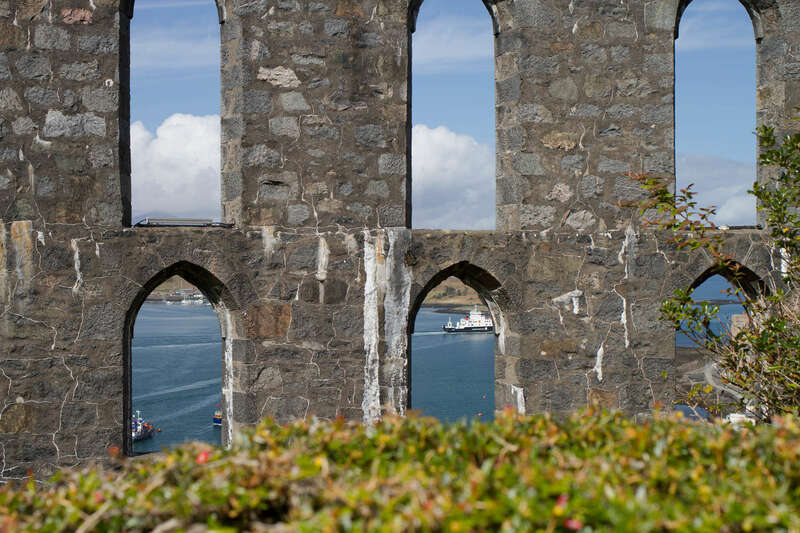 McCaig’s Tower was built between 1897 & 1902 and is about 200 metres in circumference and has 94 arches. To help you catch your breath after the walk up above the town, there are benches within the walls of the tower. The gardens are a haven for small birds and if you pick the right bench then you get a perfect view over Oban and out to sea. Waterfalls and Walks, All over Scotland – I am listing just a few of my favourite waterfalls and walks here for this post but they can be found all over Scotland. For me the most impressive is Steall Falls at Glen Nevis. 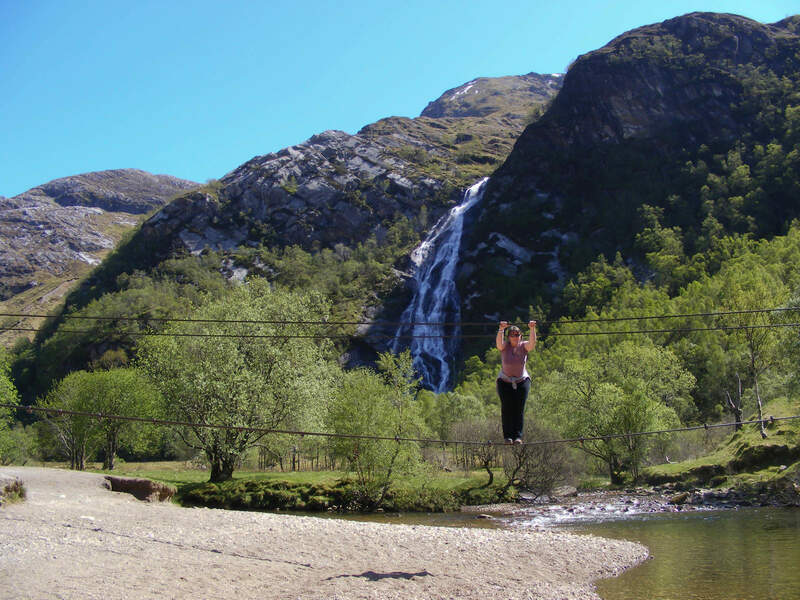 With a great walk up to the falls along the river Nevis, through the gorge and keeping the falls a secret until you emerge out into the open glen. One hundred and twenty metres high it really is quite something. For those with nerves of steel you can cross the river on the wire bridge but just remember you have to come back that way too! A more sedate waterfall walk would be at Falls of Braan at the Hermitage near Dunkeld, Perthshire. A much shorter walk through giant pines and along the river Braan you can view the falls from the romantic folly of Ossian’s Hall. At certain times of year you may even see the salmon leaping! Down in Lanarkshire there are the Falls of Clyde, a collective name given to the four waterfalls and the highest being 84ft. Look closely and you may see kingfishers, otters and herons. 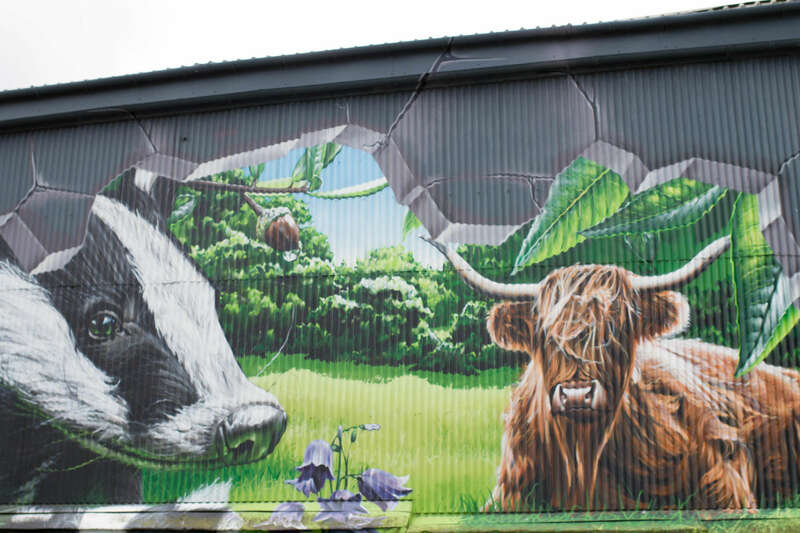 Mural Trail, Glasgow – during 2014 I spent time in this amazing and vibrant city as a volunteer for the Commonwealth Games and I saw just a handful of the large scale murals and street art and was blown away by them. The people of Glasgow – visitors and locals alike have embraced these works of art and now they are across the city revitalising buildings and alley ways . There is now an official Mural Trail to follow ensuring you don’t miss any out. There are some stunning pieces of work that wouldn’t look out of place in an art gallery and of course by walking around it means you get to know Glasgow that little bit better. So, there are my ten free things to do in Scotland but this is just the start of the many adventures you can have without breaking the bank for a family day out. If you would like to share any other tried and tested free attractions, walks or events then please do add them to the comments. Some brilliant tips and thanks for including me and Libby 😉 I was actually quite disappointed that we didn’t get to do the Kelpies, maybe next time.